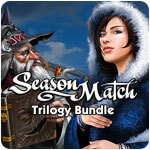 Season Match Trilogy Bundle Game - Download and Play Free Version! All three Season Match games in one awesome bundle! Now you can get all three fantastic Season Match games in one awesome bundle of pure Match-3 fun! The Season Match Trilogy Bundle includes the following games. 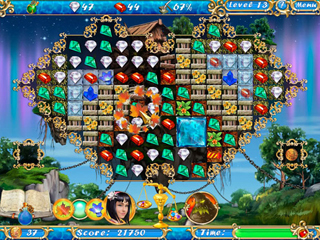 Season Match: Beat the wicked Winter Queen and save the fairy-land from everlasting winter! Season Match 2: The fairytale kingdom has been seized by the evil Princess January! Help the Snow Queen regain her throne! 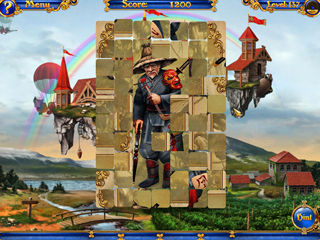 Season Match 3: Curse of the Witch Crow: An evil witch has captured the Months and now the New Year may never come! Save the day using all the Match-3 skills you have!